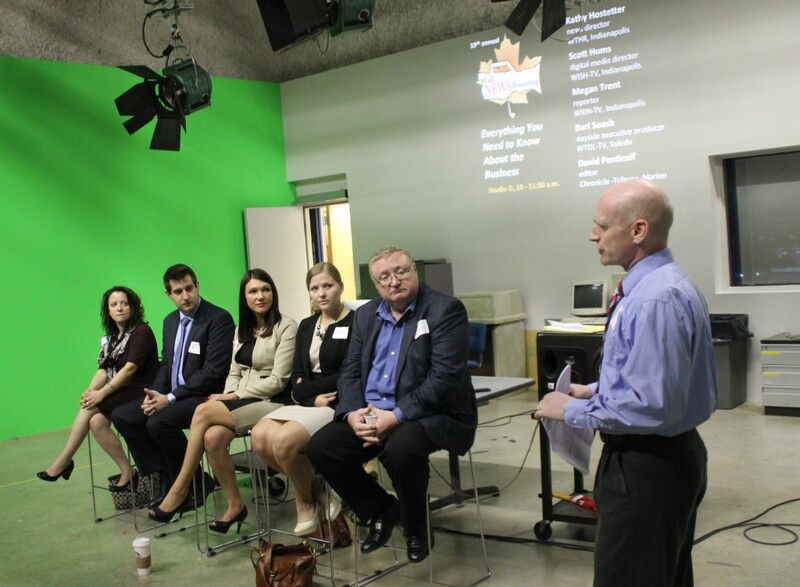 I was recently invited to speak at the 2014 Ball State University Fall News Round-up. I was on a panel where I gave advice to college students on how to start their career. My advice applies to more than just the TV/digital world, so I thought I would share my thoughts here. Networking happens constantly, even when you don’t want it. It’s a small world and you never know who will be in a position to help or hurt your prospects. Your lab partner in college might end up working for the company you are applying to. They might be able to open a door for you with a job recommendation if you were a good lab partner. If you didn’t pull your own weight, that lab partner might tell your hiring manager you are lazy, ending any chance at getting the job. This is critically important in the sales world where a good relationship from the past can be the basis for a huge sales win. If you are a good person who works hard and treats people well, the rest of your life is going to be a lot easier. Make the most out of your opportunities. If you have an internship or an entry-level job, do everything in your power to grow your responsibilities. Ask intelligent questions and form relationships that can create more opportunities. Never turn down a shift or extra work unless there’s an extremely good reason why you can’t do the work. Develop skill sets in areas related to your job to make yourself more valuable. Do not depend on a supervisor holding your hand and leading you to opportunities. You need to be aggressive and track down growth opportunities on your own. Get a mentor to guide you. Find someone you admire and make a friend. Have them review your work and introduce you to other power players. Develop an appetite for learning. Read nonfiction books, follow interesting people on social media, and create a daily website tour. There is more information at your fingerprints than ever before in the history of human civilization. You are doing yourself a disservice by not tapping into this knowledge.